The electro pop of Martina Sorbara, Dan Kurtz and Joel Stouffer aka Dragonette is the stuff of fusion: sounds like bubblegum, disco dances with synth, yet packs a punkish punch. Their third full length album Bodyparts drops on September 25th and so will they: in Los Angeles at the El Rey. 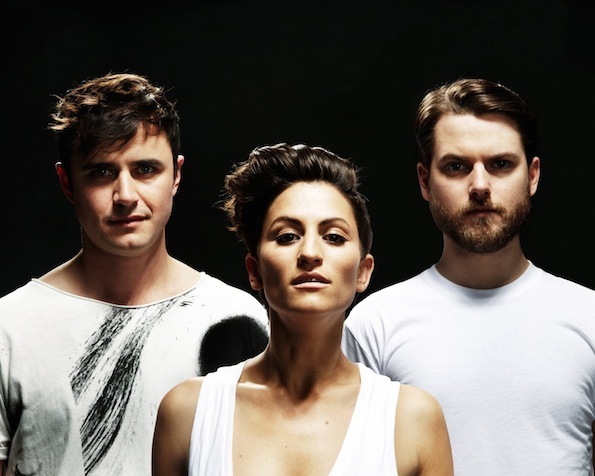 Sounds like an album release show for Dragonette, folks. Along for the ride at the El Rey will be The Knocks and Frank + Derol and if you’d like to be there all you’ve got to do is send us your full name in an email to contests@theowlmag.com with “Dragonette @ the El Rey” as the subject line and we’ll pick a winner. Good luck, party people!